Cotton Belt Vintage Indigo home decorating fabric. 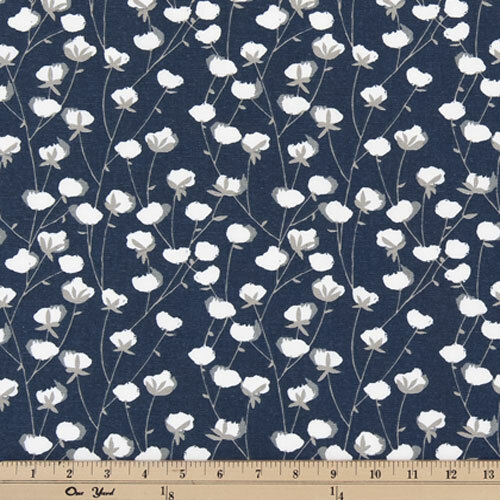 All over blooming cotton plants in white and gray on a dark blue background. Suitable for drapery, decorative pillow covers, shower curtains, crafting, headboards or light upholstery.